88Office service office Jakarta is equipped with Destination Control System (DCS) elevator which is a high speed elevator that can be use with select your destination floor on the Destination Operating Panels (DOP), than the display tells you which elevator has been assigned to you, the door will be open automatically for you. The next-stops indicator displays the stops the car will make, while the position indicator lets you know when you've arrived at your floor. The screen indicator will notify the next stop and tell you when you've arrived at your destination floor. 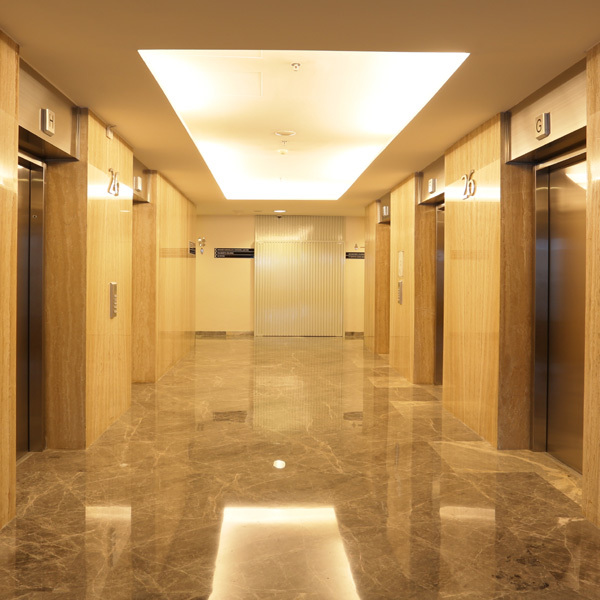 Using Destination Control System (DCS) elevator is to help the user faster to the destination floor with grouping the user with the same destination floor in the same elevator in the peak hour. And it also can help to improve security, unknown people can't use the elevator, so tenants can feel safer. If you are interesting in using service office 88Office, do not hesitate to contact us.